Combining impressive specifications and the latest Samsung innovation, the low cost Samsung Galaxy A7 has arrived. The intelligent 24MP triple main camera will take your photos to the next level. Both functional and stylish, the Samsung Galaxy A7 showcases a glossy 2.5D glass finish. This durable handset is comfortable to hold and operate thanks to smooth rounded contours and easy-access to the features you use most, such as a side-loaded fingerprint scanner. The 6 inch FHD Super AMOLED Immersive Display to the front of the handset is the perfect way to get immersed in movies and games, thanks to its crystal-clear playback. You can also stay up-to-date on the time, weather and notifications without unlocking your phone, courtesy of the always-on display. The Samsung Galaxy A7's 24MP camera has an impressive 19 customisation modes to ensure you have the right settings at hand to deliver the perfect results in any situation. This triple camera system offers high resolution with a low aperture, perfect for vibrant images even in low-light situation. 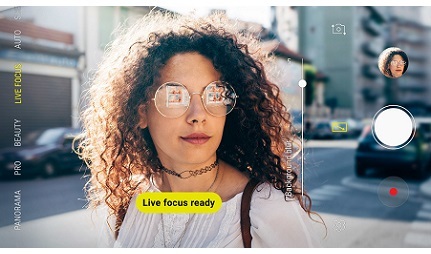 A 24MP selfie camera is also on hand to capture perfect self-portraits, adding a touch of glamour with the Pro-lighting feature. Also on board is Smart Beauty mode, which uses face recognition technology to automatically highlight your best features. Keep your content safe on the Samsung Galaxy A7, which features face recognition security as well as the side-mounted fingerprint scanner. For an extra level of security, you can also create a Secure Folder, proving an encrypted space to store your more private content. 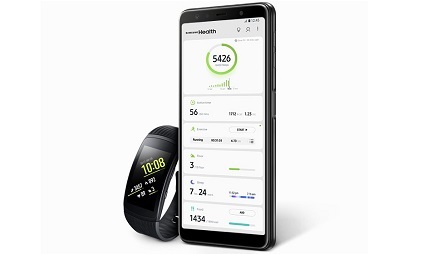 Pair the Galaxy A7 with a Gear Fit wearable (sold separately) to get the most out of the Samsung Health app, which tracks all your exercise, nutrition and sleep patterns in one place. And when it comes to storing all your data, photos and other content, a MicroSD card slot means you can expand your capacity up to a whopping 512GB. 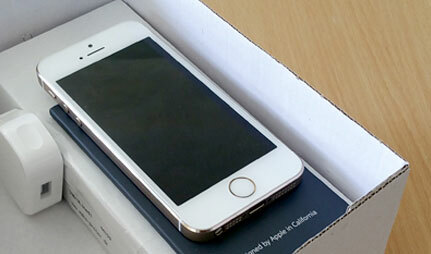 Lovely phone easy to use!! Great camera! Easy to use. Easy to set up. Smart looking. Very easy to use, love size of screen. Fantastic camera quality.